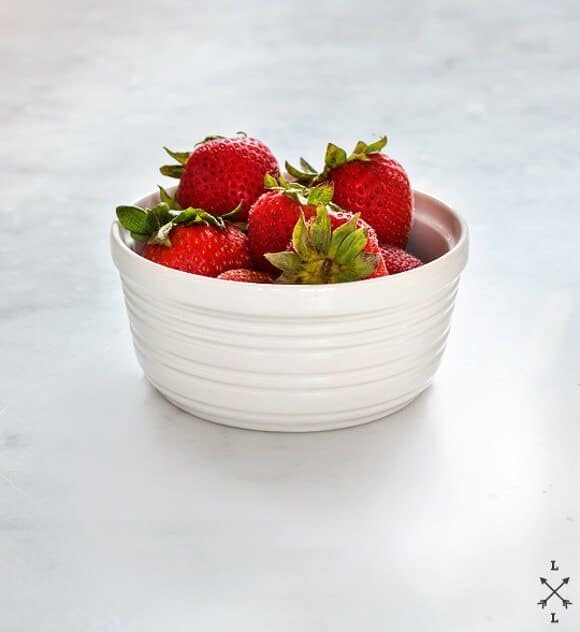 Strawberries, feta, greens, and mint make a bright, sweet, and salty spring or summer salad. A healthy gluten free & vegetarian weekday lunch or dinner! I’m excited to be guest posting at Anthology Magazine this month with a 4-part summer salad series! If you can’t tell by now, I live on salads all summer long, so I’m excited to share some of my favorites. 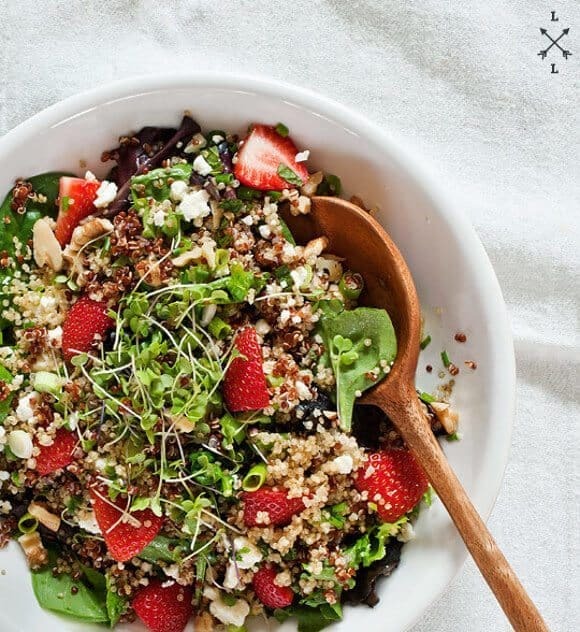 First up, today, is this savory-with-a punch-of-sweet strawberry & feta quinoa salad. Make the lemon honey vinaigrette: In a small bowl, whisk together the olive oil, lemon juice, vinegar, garlic, and honey with pinches of salt and pepper. Taste and adjust seasonings. 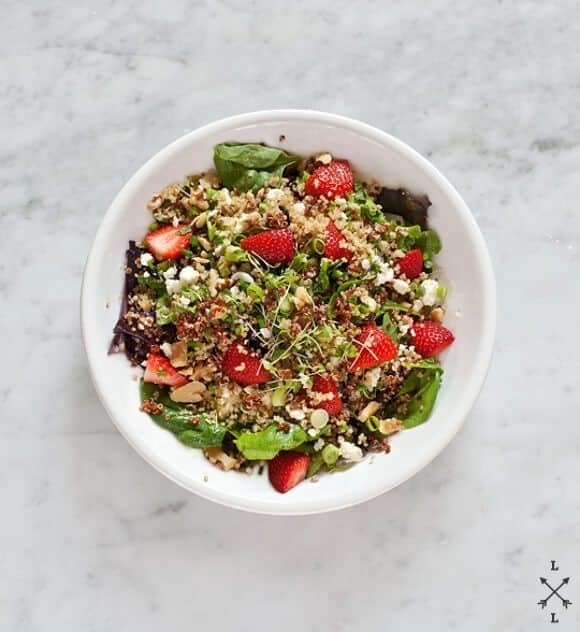 In a large bowl, toss together the quinoa, strawberries, feta, mint, scallions, walnuts, greens, and sprouts, if using. Pour in the dressing and toss again. Taste and adjust seasonings to your liking. I added a final squeeze of lemon juice and a drizzle of olive oil on top. Pretty! What a lovely way to use strawberries. This is gorgeous. Heading over for the recipe now. Fruity salads are such a good summer staple! Thanks, this looks delicious. 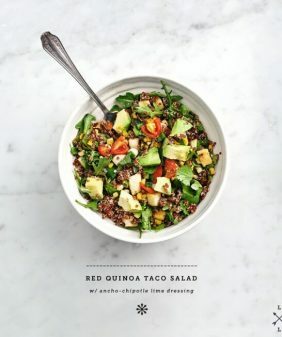 I have very rarely cooked with quinoa and this sounds like something I would like to give a try. With all the berries, it also looks so pretty. thanks! Hope you liked the quinoa! Oh wow, strawberries and feta – what a great combination! I will be trying this tomorrow after I pick up a load of strawberries from the market. Thank you! This looks excellent! Thanks for sharing! This looks fabulous! What a salad! Beautiful. And yeah for a salad series! I’ve been so happy to see you getting so much good press and attention! [much deserved]. Congrats, Jeanine! Salads are all I want to eat this summer. Hooray! That’s fantastic! 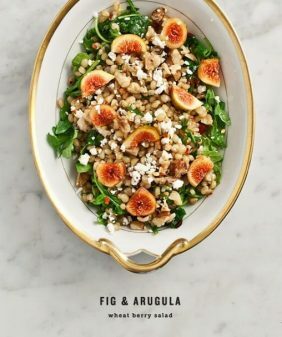 I love Anthology and am excited to check out your salad recipes. Strawberries + quinoa is a perfect combination. Made this over the weekend and it was delicious! I left out the cheese (dairy issues) and used a bit of red onion in place of the green, so good! glad you liked it, Jacqui! I may being stupid, but how many does this deliciousness serve? Thanks for pointing that out, I’ll update that info in the recipe! 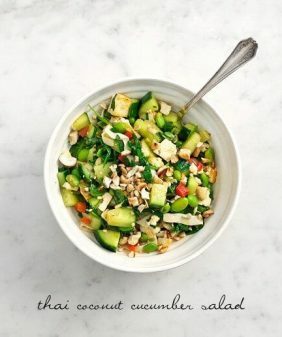 This is the best summer salad! It is beautiful and delicious. I added avocados and used avocado oil instead of olive oil. Didn’t have champagne vinegar, so substituted white balsamic. 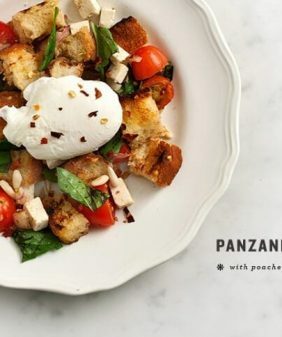 This will definitely be my “go-to” salad for potlucks. Thanks for wonderful recipes and beautiful photography. This recipe is very refreshing and has a lovely variety of flavors which combine so well! 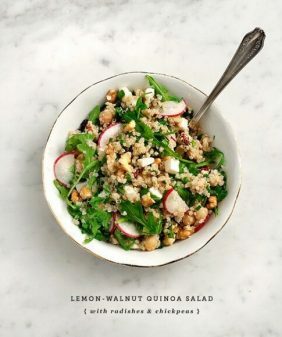 We especially love the addition of the quinoa and toasting it really makes it a delicious addition! This will become a favorite in our home. Thank you so much for sharing it! My first salad with quinoa. Loved it. The family wasn’t sure about the ingredient but I won’t give up. Next going to try the quinoa and apricot salad. And I hope to capture a pic next time for sharing. Hi Michelle, so glad you liked it! (hopefully the family comes around :). 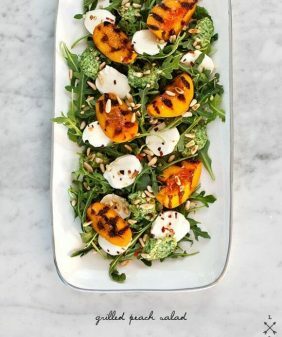 Hope you like the apricot salad! I plan on serving this recipe with another side dish. I think corn souflle will be great. However I have other options like cowboy beans until curried split peas.